Just recently we had a celebration to honor my son's 100th day of kindergarten! To be honest, we kind of take a year-round approach to our homeschooling, so I just decided to pick a date that was close enough in order to put together the festivities. 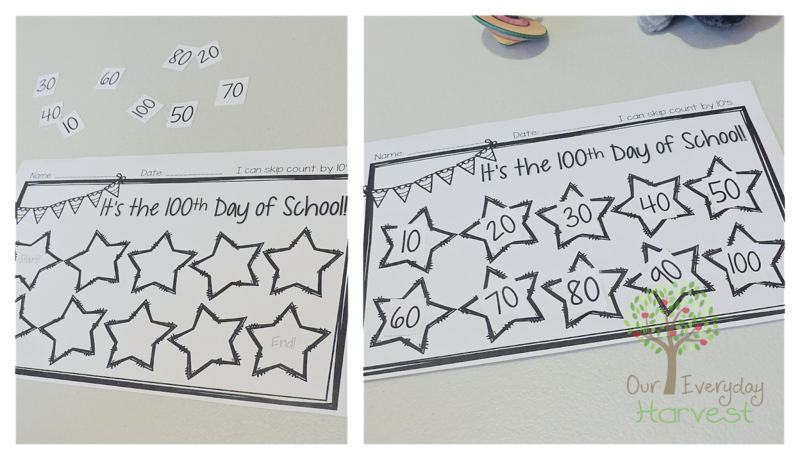 As I see it, everyday is a celebration of learning, but what fun it would be to partake in several 100th day of school activities. Our day was jam-packed with plenty of fun learning items. 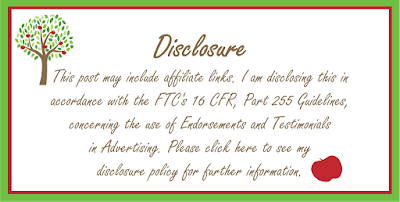 I was also able to grab a few free printables online, which always makes my job a whole lot easier. To get the day started, we added in some physical fitness time doing jumping jacks, leg lifts, running short laps in the hallway (one of the only times that I condone running in the house), and a bunch of other simple activities to get the energy levels up. "Would You Rather?" Some of the questions that came up were, "Would you rather have 100 elephants or 100 mice?" or "Would you rather have 100 pennies or 100 quarters?" We had some skip counting fun using this adorable star chart. 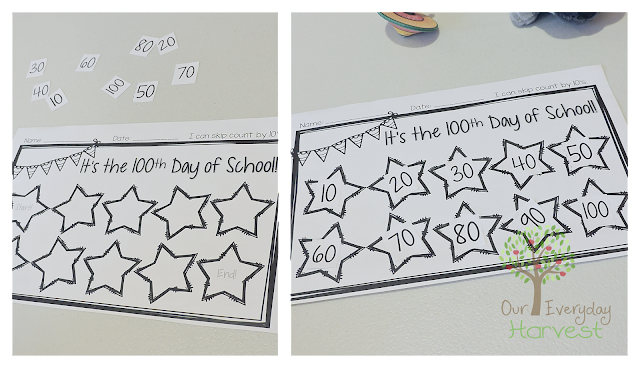 My son just glued the numbers onto the stars in order from ten to 100. Now that my son is reading, he loves having the chance to show us his skills. I had found this adorable short story from Karly's Kinders that contains...you've guessed it, 100 words! We then moved on to a little science experiment trying to guess how full a glass would be if we filled it with 100 drops of water. 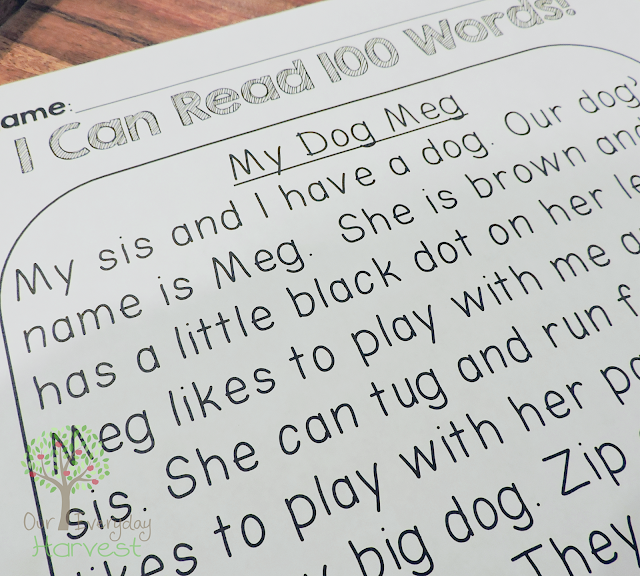 We also found this fantastic 100th day printable to jot down our results. This is a fun little experiment, especially for younger children. 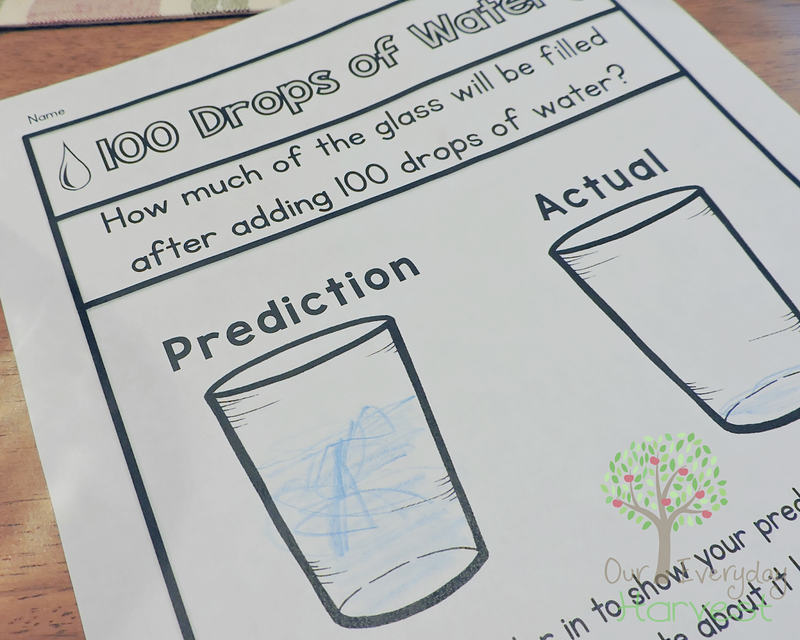 It's simple to do, and since 100 drops may seem like a lot to little ones, the look on their face is priceless when they see just how little a glass actually fills up using a whopping 100 drops of water. We received these Happy 100th Day Stickers from Carson Dellosa Education. This set comes with twenty-four stickers, so there's plenty to go around if you're teaching multiple children. My son enjoyed sporting one on the front of his shirt for the day, and he also got an extra one for his sticker book. We really enjoy arts and crafts time in our home, so many ideas came to mind to help celebrate the day, and they all involved using either Do-a-Dot Markers, Kwik Stix, or some other type of paint. 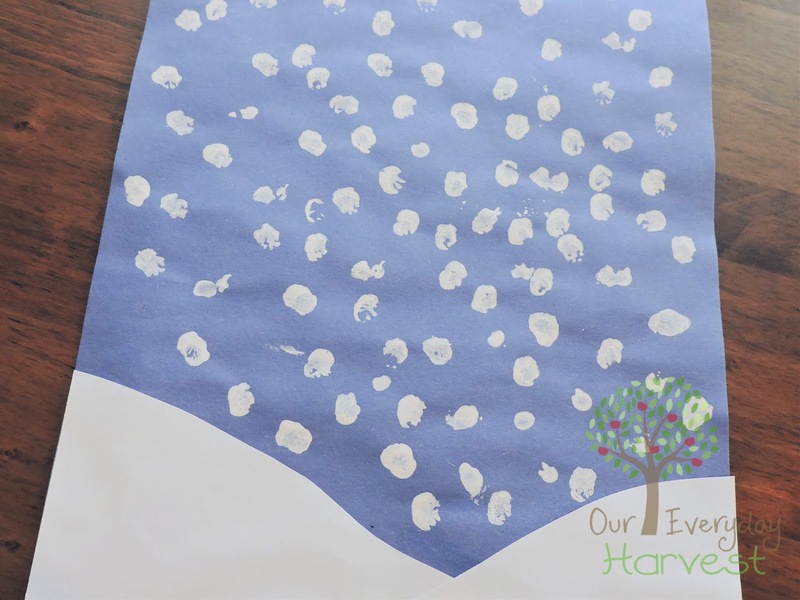 I was thinking of an apple tree with 100 apples on it, but since it's winter, we went with a simple snowy scene and ended up using some finger paints. One particular hack that I like to do, is to bend a chenille stem (AKA pipe cleaner) to create a small rounded end. I then pour some paint onto a plate and my son will dip the stem into the paint. It works great for simple, smaller sized blotting dots. He used this method to create 100 dots of falling snow (shown below). 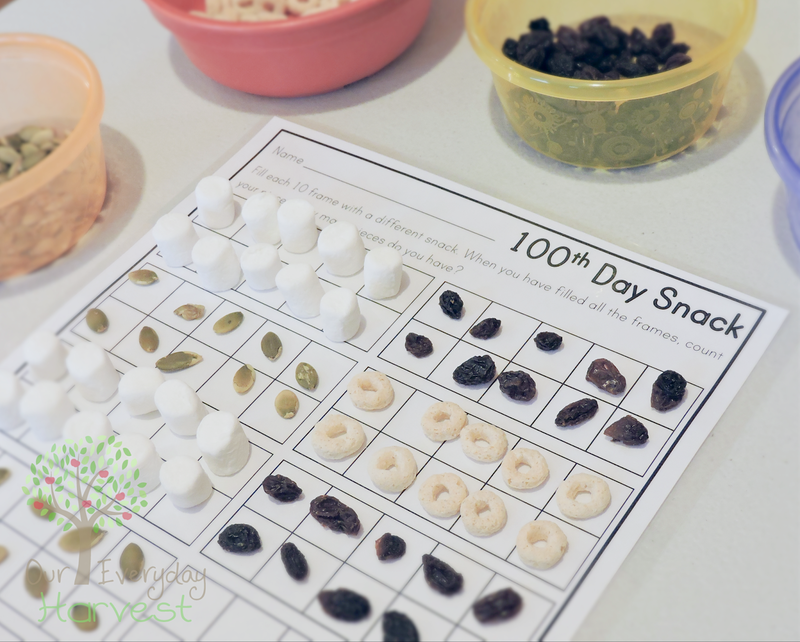 Of course, no 100th Day celebration would be complete without a snack! 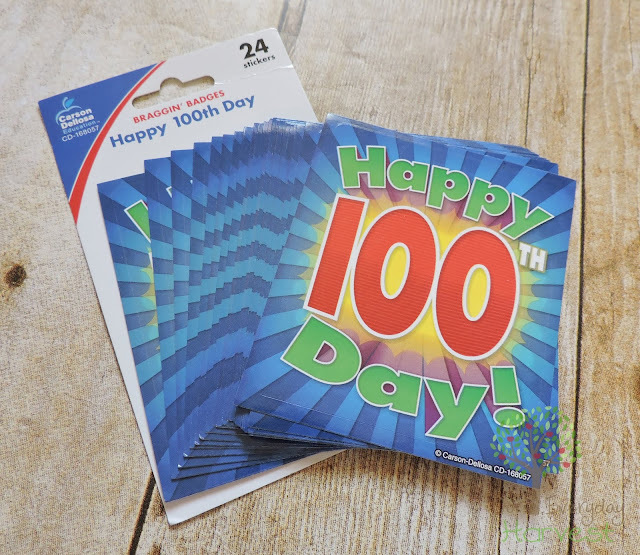 I found this awesome 100th day freebie that contained a ten frame chart. My son was able to complete the chart using some bite-sized yummies, which he eventually got to enjoy once he was all done. We topped the day off with a ceremony congratulating my son on all of his amazing learning achievements during the first 100 days of kindergarten. A little token to congratulate kids is always a nice way to end the festivities, and helps encourage them on their educational journey. 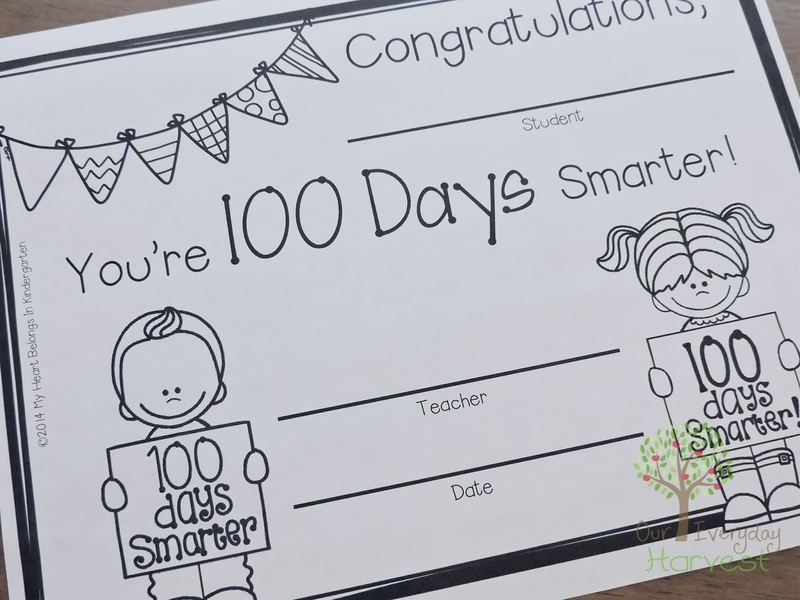 I had found a free printable that included an adorable 100th day of school certificate. 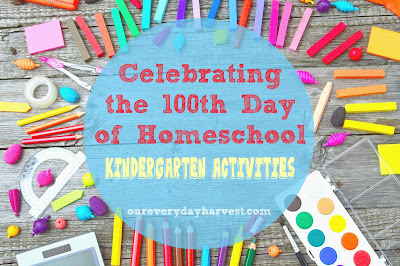 What kinds of fun things did you plan for your 100th day of school festivities? I would love to hear all about it! 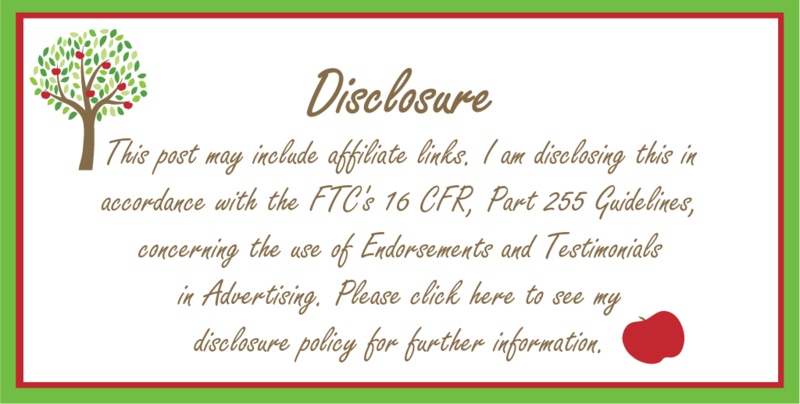 Be sure to share your ideas in the comment section, below.